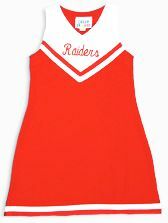 Cute cheerleading outfit features 1 Piece Sleeveless Spirit Dress. This dress is no longer an "in stock" outfit as in previous years, but we can still get them for your squad as long as you order at least 6 of these Spirit Dresses. Please order early. available from Cheer Kids for $18 with Spirit Dress Purchase. 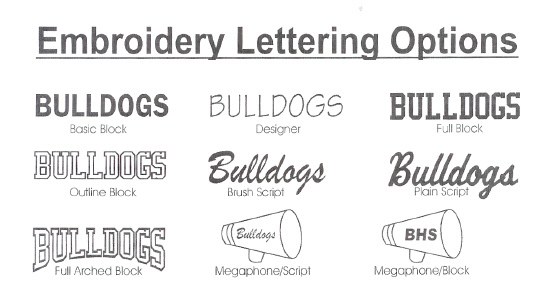 Most popular briefs, socks, poms listed below. Also, feel free to browse the rest of our cheer items to find other brands, pricing & products that your squad may prefer. 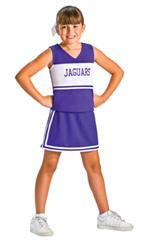 If you are in a rush or need just one cheer outfit, please check out our "In Stock Cheerleading Uniform" section. Two Tone Wide Strap V-Front Top & 3 Pleat Skirt Cheerleading Uniform Quick Ship Set by Cheer Kids- ships in 2-3 weeks. Minimum order 6 outfits.